Fairfield Ludlowe's Sophie Tomeo performs on the balance beam in the Falcons' match with Darien on Wednesday. Despite falling short to FCIAC favorite Darien on Senior Night, the Fairfield Ludlowe and Fairfield Warde gymnastics felt good about their performances and are confident going into tomorrow's FCIAC championship meet. Darien (130.85) defeated Ludlowe (117.85) and Warde (111.05) Wednesday at Lakewood Trumbull YMCA with the Falcons finishing the regular season at 9-4 and the Mustangs finishing the regular season at 4-9. "I thought we did very well even though we lost to a very good Darien team," Ludlowe senior co-captain Sophie Tomeo said. Tomeo competed in her last regular season meet of her career and was tied for the highest all-around score with Falcon junior co-captain Dani Pasquarelli with 31.35 points. Tomeo scored a 7.4 on vault, 7.95 on the uneven bars, 7.9 on the balance beam and 8.1 on floor exerceise and Pasquarelli scored a 7.6 on vault, 7.55 on bars, 8.3 on beam and a 7.9 on floor. "I thought I did well and improved on beam," Tomeo said. "It's definitely weird but exciting and it's nice to have the support from the team and to be honored on Senior Night." Also competing all-around for Ludlowe were freshman Annie Moeder (7.4-4.5-7.5-7.6-27) and sophomore Holly Eichrodt (6.9-5.7-5.4-7.0-25). Junior Emma Sweet tallied a 7.3 on beam and a 6.8 on floor. 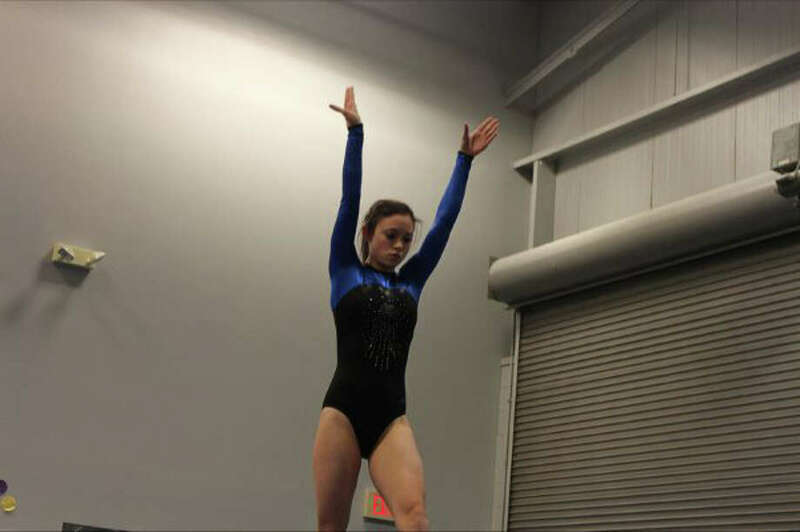 Sophomore Genevieve McNamara did well on vault (7.4) and scored 4.8 on bars and floor. Freshmen Hannah Schreck competed on vault (7.0) and bars (3.5) and Roni Mandelkern was tight on beam (6.85). Senior tri-captain Megan Kelly (7.7-7.8-7.4-7.9-30.8) was Warde's top all-around competitor. Freshmen Tori Gallati (8.1-7.0-6.85-7.8-29.75) and Amy Nichols (7.2-6.1-4.0-6.8-24.1) also competed all-around for the Mustangs. Also competing in their last meet for Warde were senior tri-captains Ali Kirsh and Emily Zeisler. Kirsh did well on vault (7.5) and floor (7.4) and competed on bars (4.2) while Zeisler competed on beam (4.8) and bars (3.2). Junior Ji Young Anderson competed on floor (7.3) and beam (4.2). Sophomore Sarah Zeisler was solid on floor (6.7) and beam (6.0). Classmates Molly Wilkinson (7.0 on vault) and Stephanie Korvis (4.1 on bars) and freshmen Judith Kling (7.1 on floor) and Caitlin Wholley (6.6 on vault) also competed for the Mustangs. Both teams will compete at the FCIAC championships on Saturday at 5 p.m. at Westhill. "I'm excited about FCIACs," Tomeo said. "I don't know how we'll place but we have improved since the beginning of the season."